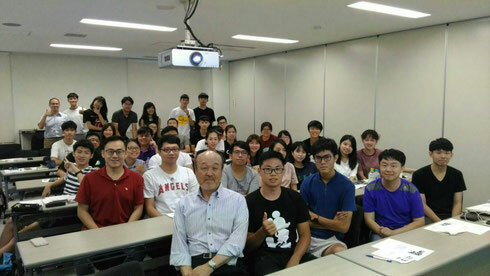 Lecture of "Urban Planning System in Japan"
Some photos taken after lectures on 15th July are as follows. Some comments on lectures by students are as follows. Today we learn about the basic urban planning knowledge of Japan, and I find that the law of Japan is more meticulous than Taiwan. 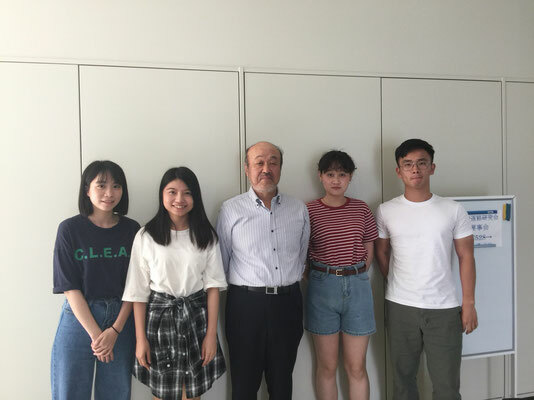 Thanks for your lecture let me know more about Japanese urban planning system. Learned the different from Taiwan and Japanese urban planning system. There are 12 types of land use zoning in Japanese land use planning, but housing is just one category. In Taiwan we have housing zone, business zone and industrial zone. Method of urban design is similar with Taiwan's. While there are some differences in urban planning system between Taiwan and Japan, but most of them are very similar. I think it's very interesting to know how urban planning work in Japan. Teacher introduced the urban planning system of Japan in detail. The part of Slant Plane Restriction is very interestin. Thank you teacher, it's a great lecture. Japanese Urban Renewal Project is similar to Taiwanese, but in Japan the project is quicker and the construction also faster. Land Re-adjustment and renewal project's considering process and aim are really similar to Taiwan's system. But some of the regulations are different, so bit of confusing. Using Land Re-adjustment Project to revitalize the old city. I think some are in Taiwan can do this project to improve development. Thank you teacher. I get the great lecture. Thanks for your answers sharing that makes us realizing more about the knowledge of urban planning system. 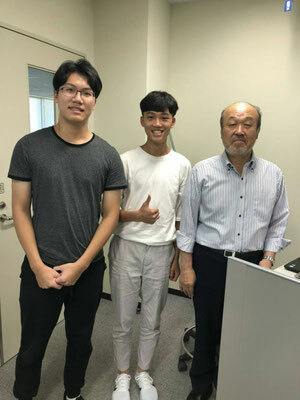 In my honor that can learn the lesson from professor Kawakami, let me know the different of urban planning between Japan and Taiwan, and make me know there is still a lot of problems about urban planning law of Taiwan. Because our law is too old and so rough. I have learn so much that I don't know how to express my thankful. Thank you very much. After the class, the planning system for district in Japan is alike the planning system for district in Taiwan. Specially, Comprehensive Design System for Estates and Special District for Urban Renaissance. In my grade 3, our class was learning about these two planning system for district. It's very interesting to listen professor to share the information about today's class. Thank you for these days teaching. Thank you for three days teach. In the class, learn many different aspects on Japanese urban planning. Besides, I know some Japanese urban design and hope use this knowledge in the future.